Presidium feels immensely proud to mentor such brilliant champions, who have proved their mettle yet again. 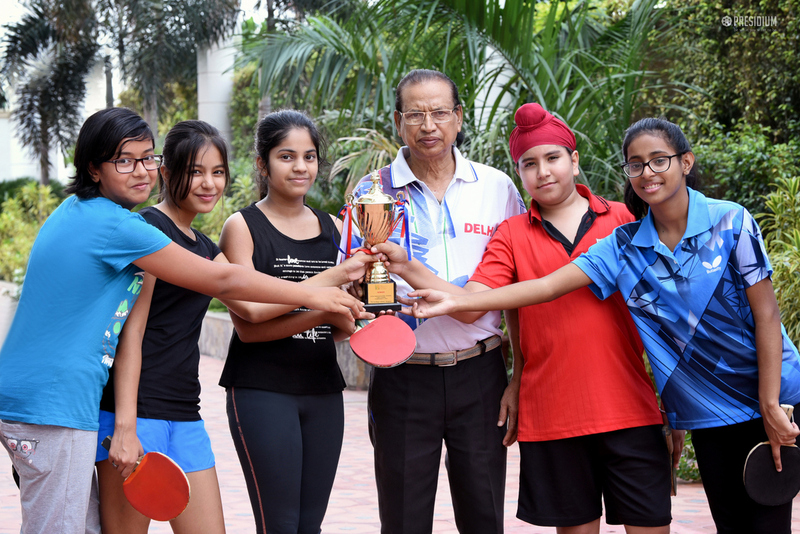 In a recently organized table tennis tournament, the girl power of Presidium won bronze medal in under 14 girls category. The tough team was represented by the young achievers Aarohi Saxena and Sia Saini from grade 8 and Kasak jain and Minal Hota from grade 7. Held at Path Finder Global School, Pataudi, the competition witnessed humongous participation of students from 16 schools but our gifted tennis stars performed amazingly well. Kudos to our young gifted tennis stars and their coach!